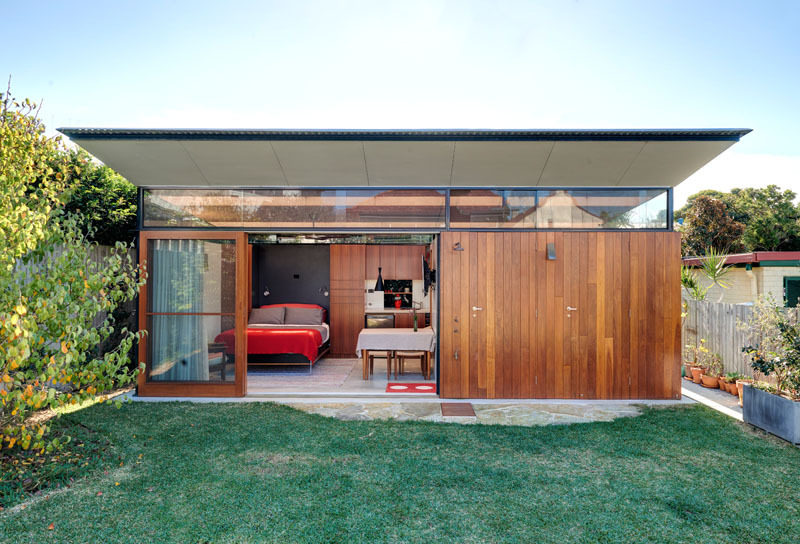 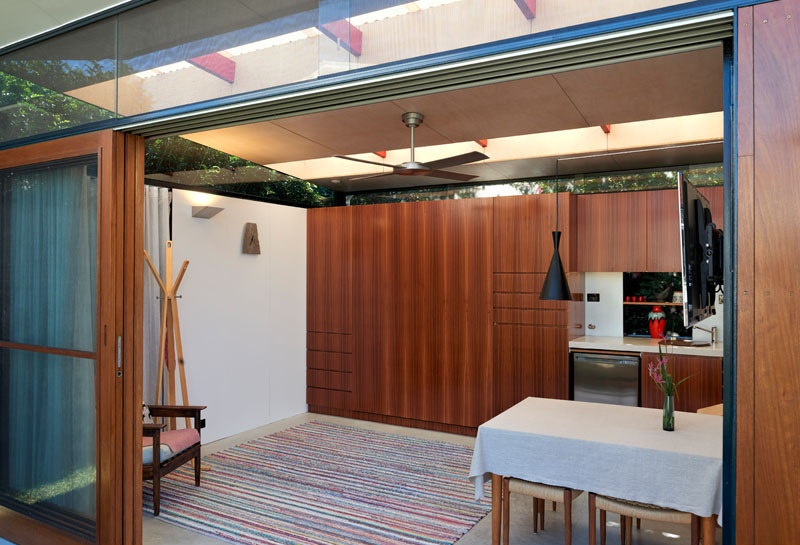 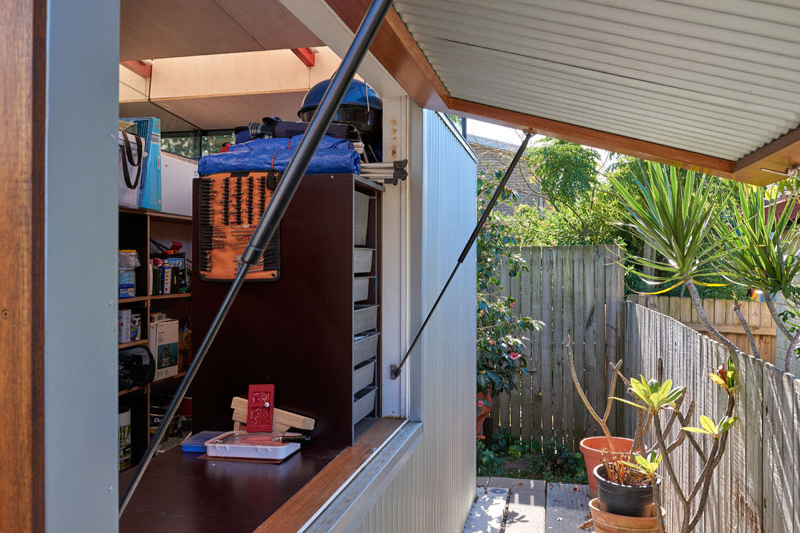 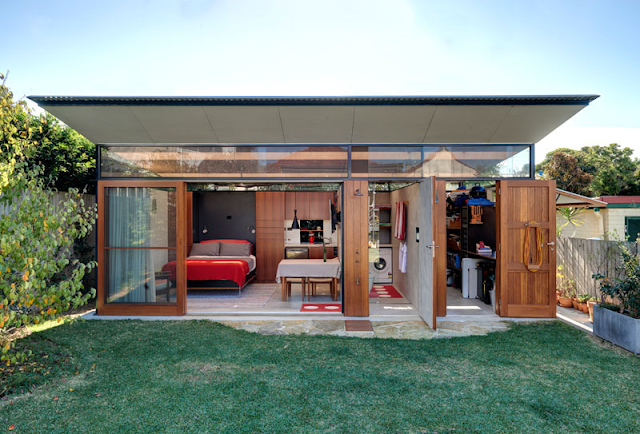 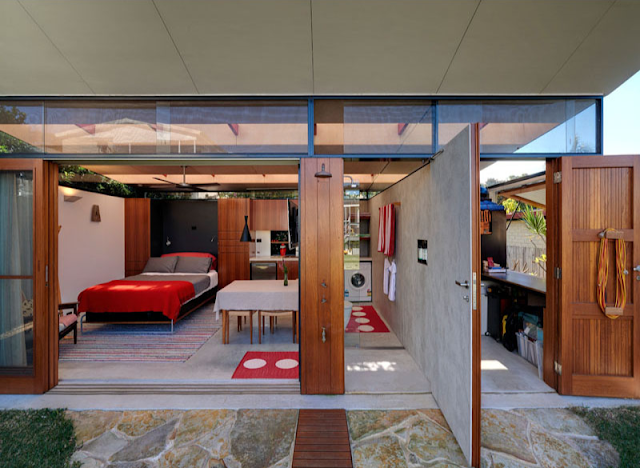 This modern backyard studio in Sydney, Australia, serves as a vast multi-purpose space using just 312-sq-ft! 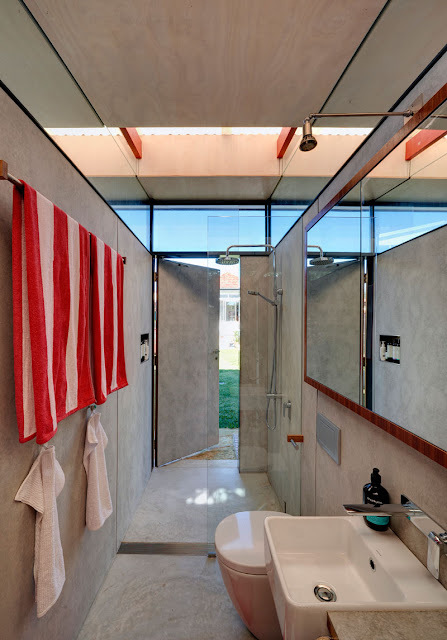 Designed by architect Ulrika Saar, numerous windows were added to the space to flood the space with natural light. 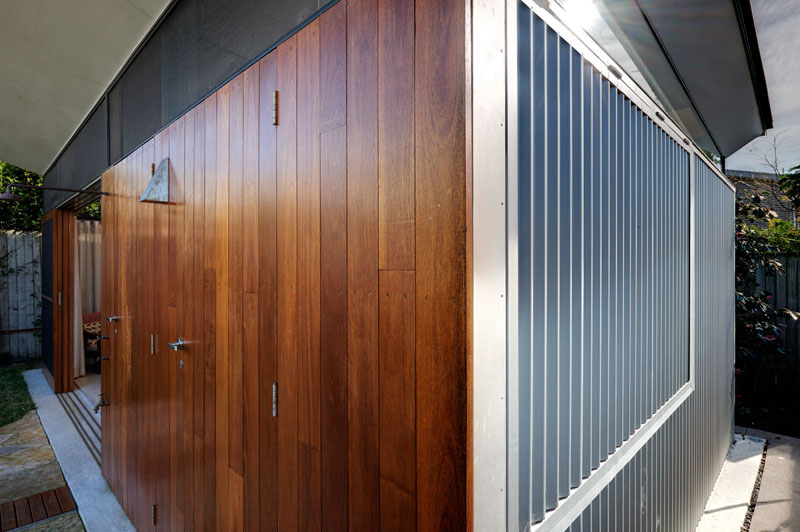 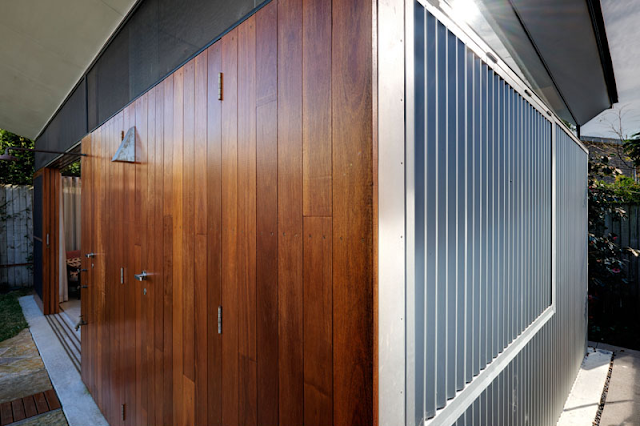 Blackbutt hardwood timber and corrugated metal clad the studio's exterior for a stylish, modern look. Inside, through a set of sliding glass doors, are the three rooms that make up the studio. 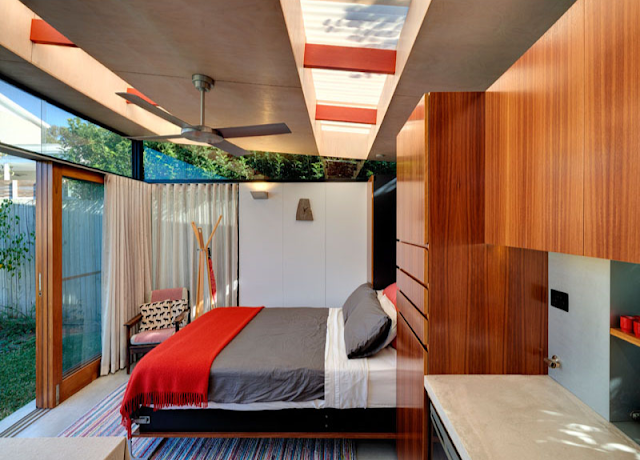 The main room has a Murphy bed, dining set, and seating. Next to that is the home's bathroom and laundry room. The third room doubles as a storage and workroom.